How do I get students engaged with the competition? Each week one student that submitted an answer from each year group will be randomly selected as a winner (this is automatically done for you). Rewarding the winners each week does a lot to encourage student engagement. Some schools award merits or stamps while The International School @ Park City in Malaysia have even produced custom medals for students. You will have a school leaderboard (which can also be filtered by year group) of all the students from your school that have entered. Sharing this with students can really encourage involvement. I also want to share the fantastic efforts from maths teacher Jennifer Dickson at Mearns Castle High School in Scotland who shared this photo on twitter (@missdicksonmaths). 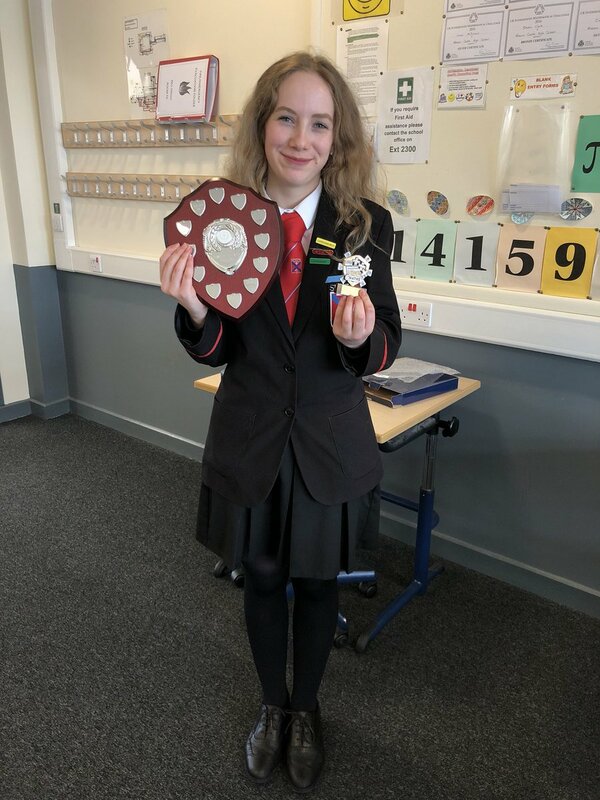 Jennifer secured funding from the Edinburgh Mathematical Society for the trophy and prizes and awarded this shield to the school's inaugural winner (who also finished top of the world leaderboard!). How do I easily share this information with the students? On the right you can see a display board from the early years of Puzzle of the Week. If you click on any of the signs it will give you a pdf of each backing sheet used which you can print out and leave on the board all year long. Each week you then simply print the updated A4 sheets and then pin them into the middle of the backing sheets. If anyone has a better display board (can't be too hard) please do send me an image and any files to help share it with others and I'll reference your lovely work.